LEAD JUDGMENT: SAIDU TANKO HUSSAINI, J.C.A. The case for the appellant was that she bought the piece of land in dispute from one Ayuba Vande Jonathan who also bought the same from one Thomas Gbampo. Upon taking possession of the land in dispute, she entrusted it to Thomas Gbampo (i.e. the Original owner) since he lived in the vicinity where the land in dispute is situate. Thomas Gbampo died subsequently and in order to secure her property, the appellant/plaintiff went back to the land to plant beacons/stones and to properly demarcate the land since the land was only demarcated with flowers before then. It was at this point that one Mathew Thomas (son to Thomas Gbampo) challenged her saying that the land in question belongs to someone else. The appellant instituted action when she noticed that the respondent was carrying out some developments on the land in dispute and laid claim of ownership vide a document she described as a forged document. Respondent’s claim to the land in dispute of a size measuring 100 x ’50’ at Shavo Mile 6, Jalingo was by dint of the transaction by which one. Mrs Eunice D. Ambikpu sold the land to her (Appellant) in 2014. Eunice D. Ambikpu, it was claimed, bought the land from one Mohammed Efon, who bought a piece of land measuring 100 x 12ft from Mathew Thomas in the year 2012. Earlier in the year 2009, Mohammed Efon had sought a piece of land measuring 100 x ’38’ from Thomas Gbampo. He merged those two pieces of land together as land measuring 100 ‘x 50′ and he thereafter sold the land to Eunice D. Ambikpu in 2014. The present respondent was said to have bought the land from Eunice D. Ambikpu. 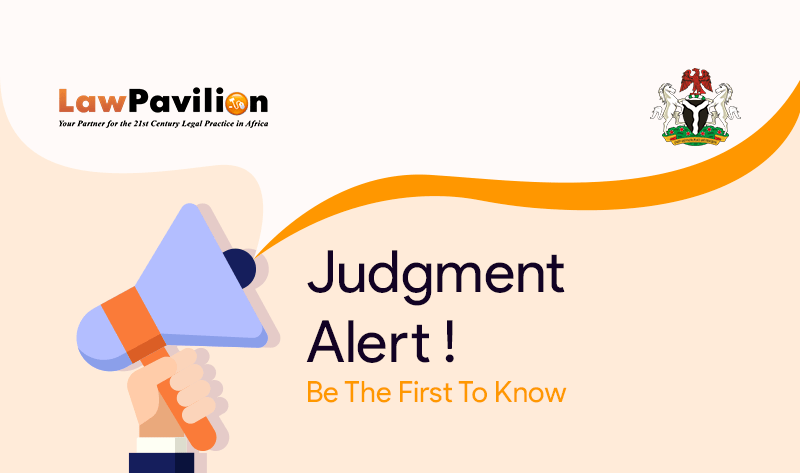 Exhibits A, B and E were tendered by the appellant as the plaintiff at the trial Court while the respondent tendered Exhibits C, D and F. In the judgment delivered on the 1st June 2017, the High court dismissed the claim.